I help several Realtors within Northwest Arkansas in my business, Moran IT. These customers have a particularly need to be extremely mobile. 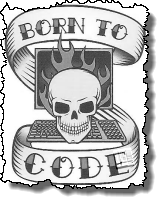 Over the years several technologies have come out to help them in their business. But first a little about how a Realtor does business. Realtors typically spend about 50-60% of their time out in the field, 30-40% in the office researching and marketing their businesses, and the remaining time spent with clients during meetings to close on houses. As you can see this presents several challenges in order to keep their technology costs low, after all every business must keep costs down to make a profit. MLXchange This is a software product by their local realtors board that must be used in order to “List” houses on the market. Basically, the MLXchange software is the “market”. NetBook with cellular internet access. Now I know what your thinking, this will cost too much…but I would like to differ. 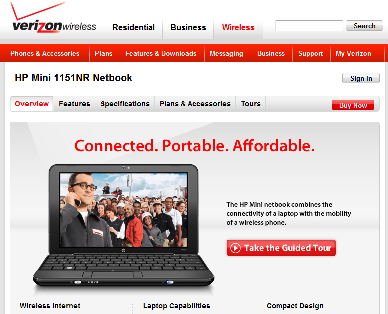 Verizon has a $199 down and as low as $39.99/month for an HP Mini netbook with 3g internet access. This means you can access MLXchange while in front of a house… Just imagine it, you could be showing a client one of several houses, when they ask you something new. Log into MLXchange via your netbook and have the answer immediately. Just be sure you pickup the car-charger and possibly setup a “platform” within your vehicle to sit your netbook onto. I built my own personal laptop mount out of a specially cut piece of Plexiglas, a 1 foot lead pipe and a few screws. Lastly you’ll need a telephone. Let’s face it, your a realtor, you need to have some way while in the field for your customers to contact you. A cellular phone is the absolutely best way to do this. My phone of choice… an iPhone. Yes, I know, everyone is jumping onto this band-wagon… but there is a very good reason why people like it so much, this phone just works! With the million plus add-on apps, ease of use and storage space… I did a quick search and found hundreds of realtor related applications, everything from mortgage calculators to Property search apps… An iPhone would keep you in-touch with the world. And after all, isn’t part of being a good realtor 110% “being in touch”. Shameless Plug Warning: Ok, one last thing you will need to be a realtor on-top of his/her game… a good Tech person. You need someone who has the expertise to solve any problems with the technologies I’ve recommended here and most importantly the patience to work with customers and not “talk down” to you like most techs out there. Call Diana or Daniel with Moran IT at 479-250-1112 if your in Northwest Arkansas. We want to help!!! See there I go… shameless plugs, tisk, tisk, tisk. But you know what, it pays the bills… right?